DIN Standards are invented for a variety of components including industrial fasteners as DIN 608 Flat Countersunk Square Neck Bolts. 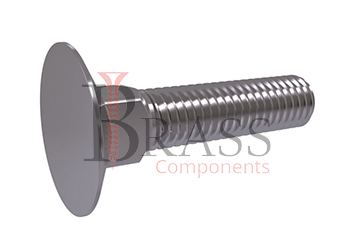 DIN 608 Bolts are manufactured from Steel Grade A2 or A3, Brass, Alloy Steel, Plain Steel, Stainless Steel, Ordinary alloy steel or many other materials. 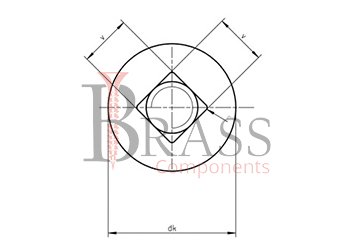 DIN 608 Bolts are available in a wide range of sizes, shapes and materials. DIN 608 Bolts with Countersunk Head and Square Headrest. Strength Class 3.6, 4.6 and 8.8. The Countersunk Head can’t transfer the torque. Resistant to Corrosion and High Humidity. Provides Reliable and Durable Fastening. Very Popular connecting elements in furniture production. Available with special sub heading of the square section which prevents the scrolling of the fasteners during fixing and installations. Used for fixing wooden or other material of attachments and many other industries for fastening and joining. Used in agriculture and construction industries. We manufacture DIN 608 Bolts as per Custom Specification and export in Germany, Spain, Netherlands, Portugal, UK and other European Countries. For more Information, Please Contact Us or Inquiry Now.